Membership has its privileges, but they only extend so far. SoHo House: Known for its restrictive access, its rooftop pool, and now, its bathroom action. 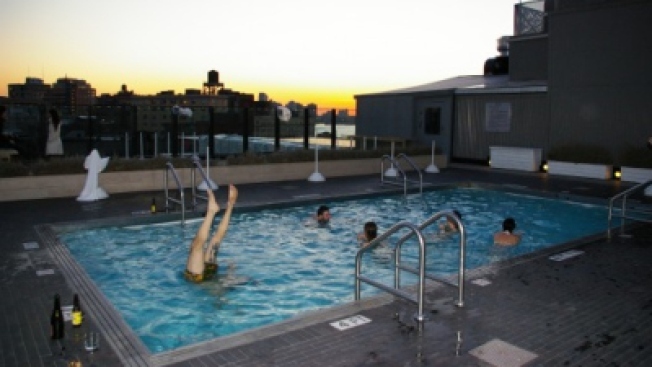 It costs nearly two grand a year to be a member of the veddy swank SoHo House - and most are happy to fork that over for access to the rooftop pool-and-playground alone - but that doesn't mean you get to do just anything on its premises. Like, say, sneak off to the toilets in pairs, if you know what we mean. A sign that's just been slapped up in the restroom reads "Anyone found in pairs in the toilet will be asked to leave the club immediately and their membership will be suspended." Well, we never. We're not offended that the sauna at our Crunch gym asks via a sign that guests "please don't do anything that might embarrass us," but the idea of the well-heeled popping round the loo for a quickie? Scandale! Gothamist notes the sign says nothing about prohibiting threesomes.